Hong Kong’s favourite place to fiesta has opened a second location! Since 2000, locals and tourists alike have salsaed down to Agave, Wan Chai for their Mexican fix. Now after 18 years of continued success, Agave has opened the doors to a second venue in Central. 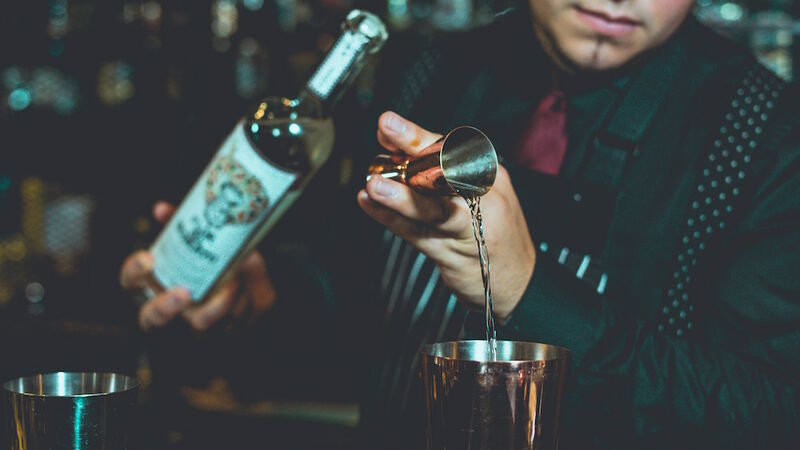 The bar and restaurant continues its big sister’s proud legacy of housing the largest collection of tequilas in Southeast Asia and serving up authentic Mexican eats. The extensive selection of 100% blue agave Tequilas is imported directly from Mexico. Each unique expression is served either traditionally, in snifters with a shot of sangrita as a chaser, or as the main ingredient in the bar’s famous margaritas. This margarita menu is almost as long as the tequila list, and includes notable offerings like the Serrano Al Melon Margarita – a fiery mix of Serrano Chilli infused blanco tequila, Midori Melon Liqueur, fresh Serrano chilli and lime juice and the Sangrita Margarita – made with reposado tequila, homemade sangrita, fresh Mexican lime juice. There is also a range of imported Mexican and locally-branded beers available, as well as an Agave Sangria – composed of red wine, blanco tequila, cherry brandy, fresh orange juice, fresh apple, orange and lime slices. On the food side, the restaurant churns out 11 different types of Mexican tacos as well as nachos, empanadas and chalupas. You can also get your hands on Hong Kong’s first ever Mexican hotdog, Sonoran Dogo – a fresh hot dog bun stuffed with bacon-wrapped sausage, green tomatillo and yellow jalapeño salsa, cilantro sauce and chipotle mayo. The new bar and restaurant is a step up in sophistication from the Wan Chai venue, with both the logo and interiors updated. Exposed wooden panels compliment the subtle pink, white and green speckled floors, while a train of bar light bulbs frame the ceiling and shed light onto the dark wooden tabletops. These ceilings will soon be covered with artwork from renowned Catalonian artists Xavier Onrubia and Miquel Ros that reflects modern Mexican culture and its icons. Previous articleFinal Days to Enter Sydney Cider Cocktail Competition 2018! Next articleGet Ready for Melbourne’s Week-Long Beer Extravaganza!